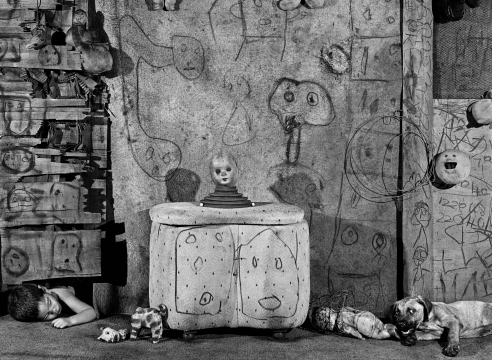 The Fahey/Klein Gallery is pleased to present Ballenesque – Roger Ballen: A Retrospective, a solo exhibition featuring the works of US-Born/South Africa-Based artist, Roger Ballen. Best known for his probing, often challenging images that exist in a space between painting, drawing, installation, and photography, Ballen has achieved global recognition with a series of startling monographs and exhibitions spanning four decades. Our exhibition, which coincides with Ballen’s newly released publication of the same name (Thames & Hudson) is based on an entirely new appraisal of Ballen's archive, with a view well beyond his monographic projects. Ballenesque – Roger Ballen: A Retrospective (Thames & Hudson), a 336-page hardcover book is available for purchase through the gallery for $80 while supplies last.